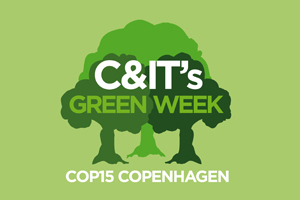 C&IT GREEN WEEK: Lord Nicholas Stern, vice-president of the England 2018 bid team and former chief economist at the World Bank, has pledged that England would deliver a sustainable tournament to remember if the country wins the right to host the Fifa World Cup in 2018. Lord Stern is leading the team that is producing the sustainability element of England's bid submission to Fifa and as COP 15 kicked off, Stern commented: "The Copenhagen summit is a crucial moment in history, and more than ever we need strong leadership and collaboration to achieve a global deal. Major events like the Fifa World Cup present an important opportunity to communicate and demonstrate what can be done to combat climate change and achieve a sustainable future. "If we are awarded the honour of hosting the event, England 2018 is committed to delivering a sustainable World Cup. This will be a crucial part of a World Cup in which the future of the world's young people is absolutely central." Furthermore, England 2018 would aim to reduce negative impacts, showcase ways of enhancing event sustainability by building on Fifa's Green Goal programme and implement the BS8901 framework for sustainable event management systems. The team is currently preparing the bid, which will be presented in May 2010.